IBPSA offers an Online Education Center for easy to access to species-specific educational materials and certification exams, plus additional pet care training exclusively with our Premium membership option, for you and your staff. Achieving certified pet care status has become increasingly important to help keep the pets in your care safe, provide peace of mind for pet care owners, and set your business apart from the crowd. 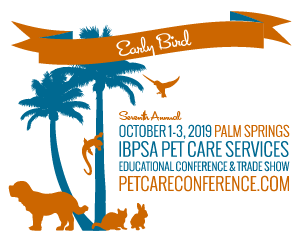 IBPSA is proud to offer our Provider Members immediate access to these species-specific animal care education and certification programs, developed by veterinarians and industry experts. The species-specific education and certification programs available for enrollment in our Online Education Center provide an invaluable base of pet care knowledge. They are designed to help you and your employees understand basic concepts and best practices. IBPSA has developed this curriculum to include quizzes for each chapter further helping to prepare the student to successfully complete the final exam. 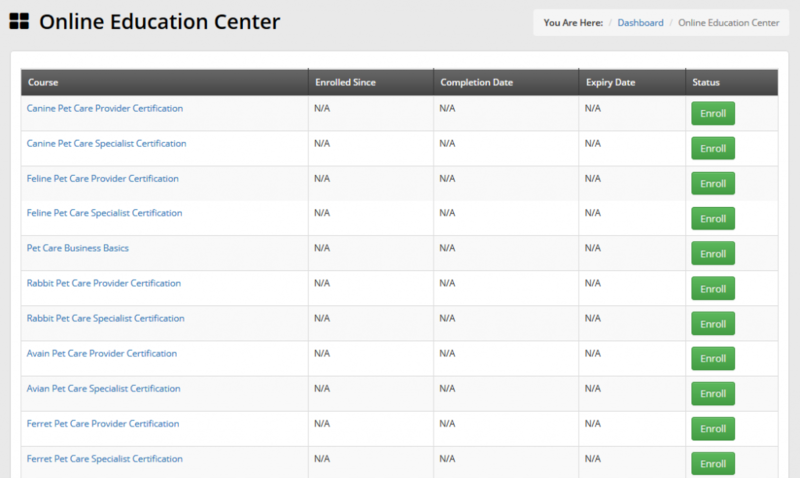 All materials, quizzes, and final certification exam are provided via our Online Education Center. After successfully passing the online final exam, the student will receive the relevant certificate in the mail which is perfect for framing and displaying. 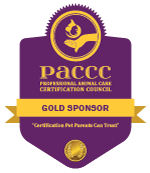 IBPSA’s Online Education Center is also a premier preparatory resource for the Professional Animal Care Certification Council (PACCC) independent certifications.